Welcome to Father of Love! We’re so happy you’ve stopped by. On this website we’re sharing with you our best materials regarding the character of our merciful, loving God – and as you read, you’ll understand why we are fully convinced that He really is a God of love. There is so much that people misunderstand about God’s character – even committed Christians! Satan has done his best (and often succeeded) in making people believe that God is invested with his (Satan’s) own qualities – those of anger, revenge, and murder – rather than the qualities God Himself has told us about in the Bible: love, patience and long-suffering. “But what about all those stories in the Old Testament where God kills and commands killing?” you may ask. We’ve asked the same questions – because a God like that doesn’t mesh with the God revealed in Jesus in the New Testament – and this cognitive dissonance is disturbing to anyone who is trying to understand why God is a God of love. What you will find in this website is the result of a 16-year search in trying to learn about God and who He really is. Each book reflects a careful and deep Bible study of the topics at hand. We hope it is as much a blessing to you as it has been to us. There is so much freedom and joy in knowing, with certainty, that our God is truly a God of love, and that we are deeply loved by Him. Identity Wars: In a world where millions of people suffer the effects of feeling worthless, where thousands are fatigued with simply trying to “keep up” good performance in order to be valued, and where thousands more simply give in to the depression caused by their sense of worthlessness, God wants to give us the certainty that we are loved and of infinite value. 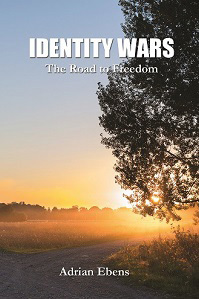 This book describes our “identity wars” – from the feelings of worthlessness and of never being enough, to the peaceful acceptance of our real worth – a life-changing certainty -, given to us by God through His Son. 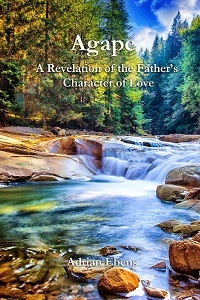 Agape: Jesus told his disciple Philip that the Father in Heaven was just like Him in Character. This book shows how this claim by Christ is correct in light of all the violence that appears in Scripture and especially the Old Testament. Life Matters: Resolving our “identity wars” issue is key to maintaining healthy and happy relationships. In this book, you will see how the war between Satan’s lie of value-by-performance vs. God’s Kingdom principles of value via sonship, has played out throughout the history of humanity. You will also learn how to apply God’s relationship principles to your own family relationships in order to restore and maintain them. 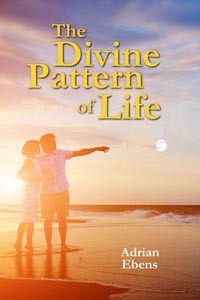 The Divine Pattern of Life: The relationship of God the Father and His Son, Jesus Christ, as described in 1 Corinthians 8:6, is the key to understanding the most important truths of the Bible. It’s a simple yet profound “formula” for unlocking not only Biblical concepts, but also for understanding other relationships in life. 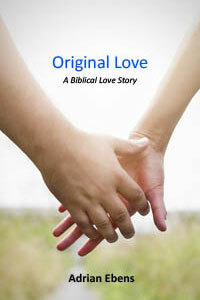 Original Love: What does the Bible teach us about true love within marriage. With so much heartache in male and female relationships Original Love points us back to the original relationship in Eden and gives us some keys to make our marriage better today. The Wisdom of God: In the Beginning God designed the universe in a very specific way to ensure closeness and intimatcy for His created children. Learn the anicent wisdom of God in how He began the universe and why. My Beloved: This book is the personal story of the author of this blog. In it he shares his personal journey in learning about the true God of the Bible and His only begotten Son, and what a difference this knowledge has made in his personal life. Does God demand the death for sin? Did He institute a death penalty to punish those who transgress Him? Did Jesus die to satisfy His Father's death penalty? If this were true then God killed His own Son to satisfy His death decree and this is suppose to cause you to love Him. Do you detect a problem here?